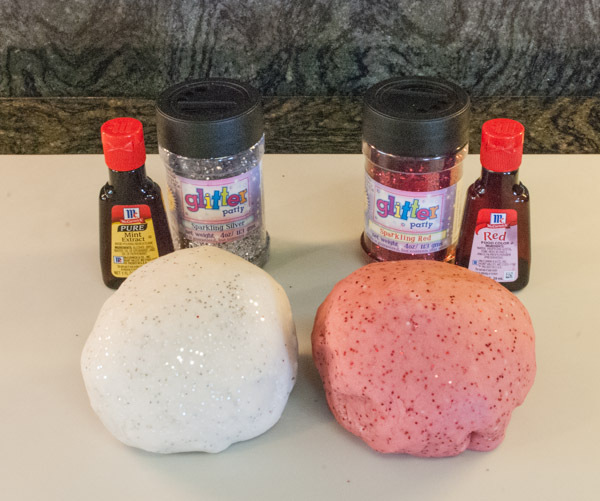 Surprise your child with a new batch of glittery, scented Play-Doh. 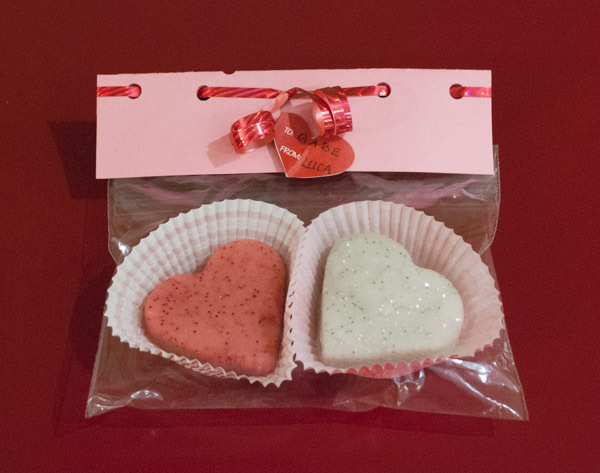 You can also double the recipe to make it into a Valentine’s Day gift for classroom goodie bags. 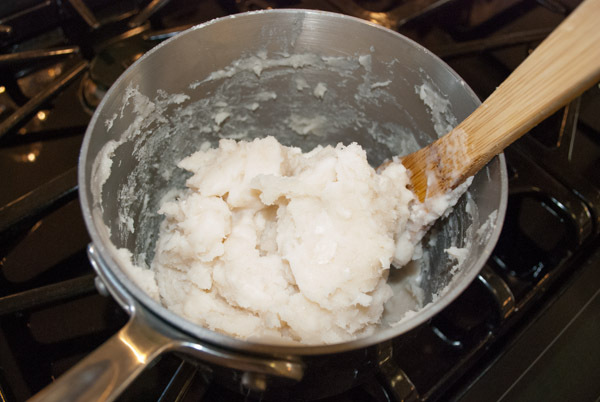 Mix the flour, salt and cream of tartar in a medium saucepan. Add water, oil and mix well. It will be lumpy. Cook over medium-low heat for approximately five minutes. Stir frequently. It will become sticky. Keep cooking until the dough forms a ball and pulls away from the sides of the pot. Put ball of dough into a bowl and cover with a wet towel. Let the dough cool for a minute or two. Divide the dough into two balls. One will remain white. Add several drops of mint extract and about 2 tablespoons of silver glitter to this one. Knead well to disperse the glitter. Add several drops of red food coloring to the second ball. Add about 2 tablespoons of red glitter. Knead well. Invite your kids to raid the kitchen utensil drawer and have fun playing with the dough. Our favorites: the garlic press and melon baller. Store in a Tupperware container for several weeks. Use about ¼ cup of the red dough and roll into a ball. Repeat with the white dough. The recipe above made 14 balls (seven of each color), which is not quite enough for a typical class so you will want to double the recipe. 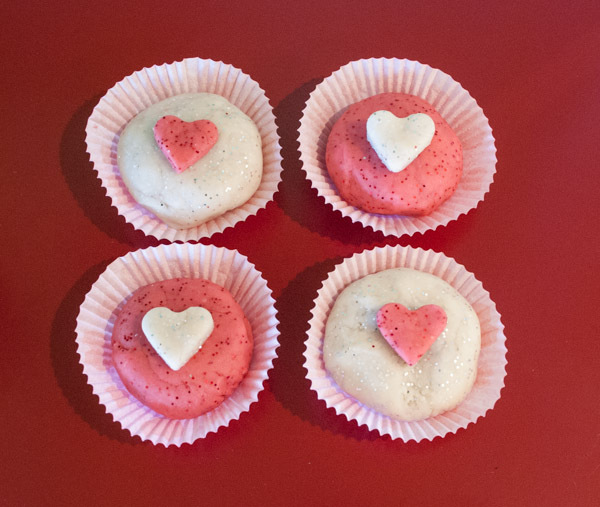 You can also stretch the dough by rolling it out and using a cookie cutter to make heart shapes. 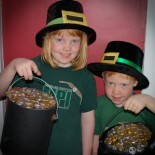 Place each piece in a cupcake liner, place inside a zip lock bag and decorate with a tag. Very cute! I love the addition of the mint flavour! This entry was posted on January 30, 2013 by mdaucello in Crafts, Valentines and tagged craft, Valentine.